I would like to take this opportunity to personally thank all our loyal customers for their continued patronage. The comments that we receive in regards to the quality of the golf course conditioning, the customer service we provide and the overall experience at Grand Niagara is very flattering and humbling. Our membership programs continue to grow and we are all very excited about the positive direction the course is heading in. On behalf of ownership, management and staff I sincerely thank you again and hope that you all have a wonderful off-season and a happy holidays. Grand Niagara looks forward to hosting you once again in 2015! 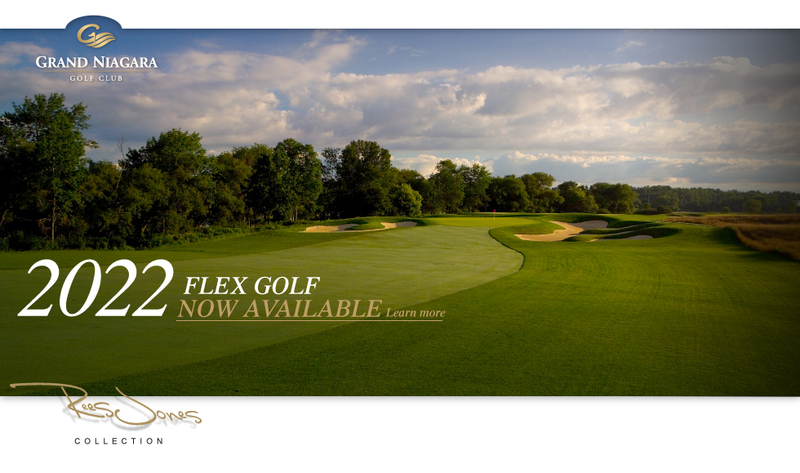 We are excited to introduce the new and innovative FLEX Membership Program coming to the Club in 2015. This Program is designed to suit the modern lifestyles of those whose working and family life leaves them with little time to play golf and justify the full subscription of a traditional membership. Working with and in response to our great customers, our 2015 Corporate Pass Program and Frequent Guest Program have been streamlined and enhanced. Our Unlimited Golf Membership and our Weekday Golf Membership Programs were very well received and have remained unchanged. We will post full details and pricing information for the 2015 Memberships and Programs on our website www.grandniagaragolf.com this winter. Be sure to check the website in the new year. When a golf course closes for the season the turf crew goes into overdrive to prepare it for the cold winter. All of Grand Niagara’s greens have been aerated with 3/8” open tines and were heavily top-dressed. Extra sand was put on the greens to help protect the plants through the cold of winter. We also removed thatch from fairways by using a thatching machine, blowing the debris from the fairways and then removing all the excess thatch and disposing of it. After these processes were completed the greens, tees and fairways were sprayed with a winter fungicide to prevent the on-set of fall and winter diseases such as snow mold. These are two of our major tasks in preparing the course for the winter ahead… hopefully a little milder winter than last year. Canada has a long and proud golfing history, having great Canadian players and being host to some of golf’s most memorable events. Bob Culig’s Winter Tip: Stay Active! Where did that season just go? Many of you will be putting away the clubs for winter storage, but for others the ritual of winter maintenance is just beginning. Golfers ask me all the time what the best way to stay physically active through the off-season is so their body stays in good shape. Here is what I suggest; exercise should not be over-looked! Physical conditioning to strengthen core muscles and flexibility will help your golf swing, increase power, torque and balance. As we grow older we become weaker and less flexible. I hear it all the time on the range “I don’t hit it as far as I used to.” To offset the effects of Father Time I strongly recommend that a stretching routine be implemented as part of your daily routine during the winter. Lifting weights as well as swinging a weighted club should also be done a few days a week to strengthen the body as well as maintain muscle memory. With daily stretching and exercising a few times a week during the off-season, your body will be primed for the spring. I encourage you all to go to your local golf dome and hit some balls once in a while as well as working on your putting stroke and touch, down in the basement. I would like to wish everyone a safe and prosperous off-season. 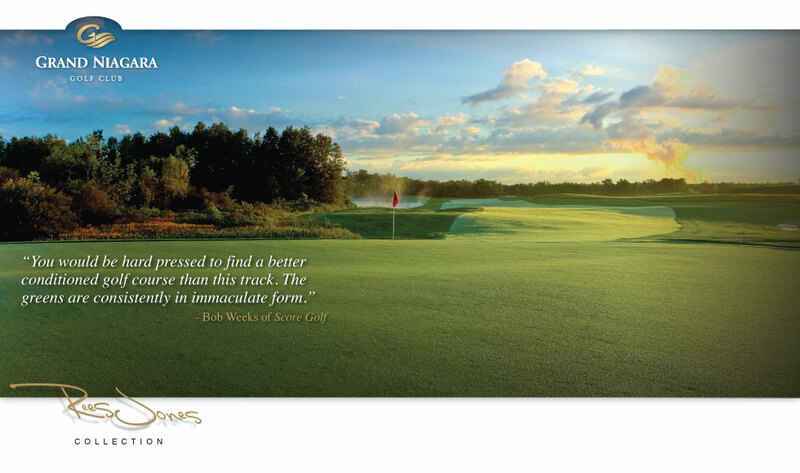 We look forward to seeing you all back at the Grand Niagara Golf Club next spring!